Sunoptics SEAMLIGHT Curbless Daylighting System is designed for direct installation onto existing industrial standing seam roofing systems. An integrated rail attaches to the roof's structural standing seam allowing the system to move with roof expansion and contraction. 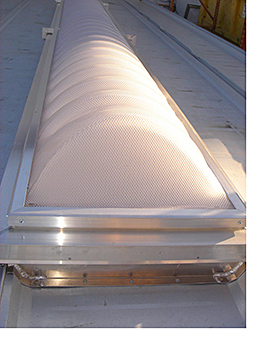 The single-sided front-end water diverter minimizes roof penetrations and leak potential.